After the coup, Reza Shah Pahlavi, the new Shah of Iran ultimately crushed the Kurdish tribal rebellion and the subsequent ones imitated during 1929 and 1941. It wasn’t until 1946 when the real danger of separatism became prevalent in Iran with the Iranian crisis of 1946 and the aftermath of the Anglo-Soviet invasion of Iran during WWII. One of the first crises of the Cold War was initiated in 1946 when Stalin refused to relinquish occupied Iranian territory as the Soviets felt that the successor to Reza Shah Pahlavi, his son Mohammad Reza Pahlavi, a staunch anti-communist was a danger to Soviet interests, especially with regards to the Truman doctrine. By mid-December 1945, with the use of troops and secret police, they had set up two pro-Soviet “People’s Democratic Republics” in northwestern Iran, the Azerbaijan People’s Republic headed by Sayyid Jafar Pishevari and the Kurdish Republic of Mahabad under Pesheva Qazi Muhammad and Mustafa Barzani, father to current US puppet Mahmoud Barzani who was the previous president of the autonomous Kurdish region in Iraq before last year’s scandalous attempt at independence for the KRG (Kurdish regional government). Though Mustafa Barzani fled Iran and went back to Iraq, so called Marxist oriented parties such as Komala and the Democratic Party of Iranian Kurdistan (KDP-I) continued their hostilities not just with the Pahlavi regime but also later on with Islamic Republic after 1979, although these parties moved on from advocating separatism to specific demands and requests. This is due to the relatively low interest in separatism among the Kurdish public in Iran, mainly because of the close cultural, linguistic and historical relations that the Kurdish people and the rest of the Iranian society share. Since 2004, an armed conflict has been ongoing in the western provinces of Iran between the Iranian government forces and the so called “Party for a free life in Kurdistan” (PJAK). The group is said to be a branch of the PKK terrorist group in Turkey. The group settled in the area controlled by the PKK on the slopes of Mount Qandil, less than 16 kilometres from the Iranian border. Once established at Qandil and operating under the PKK’s security umbrella, the group began conducting sporadic attacks on Iranian border guards and security forces until a ceasefire commenced in 2011. With the outbreak of the Syrian and Iraqi wars against terrorism, and with Iran focusing heavily on supporting the Syrian and Iraqi governments, the conflict resurged and intensified in 2016, this time with several other Kurdish militant groups also joining in, as US and Israeli support for Kurdish groups across the Middle East escalated. In an obvious show of solidarity with the Zionist state’s growing worries about the JCPOA (Iran Nuclear Deal), the KDP-I stated that it was returning to militancy after two decades of cessation of hostilities: “Since Iran has signed the atomic [nuclear deal] agreement, Iran thinks whatever they do, the outside world does not care. That is why we were forced to choose this approach,” Hassan Sharafi, the deputy leader of the PDKI said. Conveniently for the Zionist state and Washington, PJAK and leftist group Komalah immediately expressed their support for renewed hostilities and began attacking Iranian security forces respectively in the midst of Iran’s struggle against Takfiri terrorists across the region. The Zionist state has for long had close relations to Kurdish groups across the Middle East as part of their “Alliance of the periphery” doctrine which calls for Israel to develop close strategic alliances with non-Arab Muslim states in the Middle East to counteract the united opposition of Arab states. After the fall of the Iranian monarchy and with Turkey’s recent Islamic resurgence, the strategy is mainly applied towards the Kurdish people, with Israeli government officials providing extensive support to Kurdish political parties and their aspirations for greater self-government and even independence. The government of Iraqi Kurdistan has maintained open ties with Israel and is an influential lobby for the establishment of normal diplomatic relations between Israel and Iraq. Israel remains today the closest regional ally of the YPG forces in Syria as well as the KRG in Iraq. “It’s Realpolitik. By aligning with the Kurds Israel gains eyes and ears in Iran,” observed a former Israeli intelligence officer. Interestingly, PJAK themselves claim they receive no support from Washington or Tel Aviv. 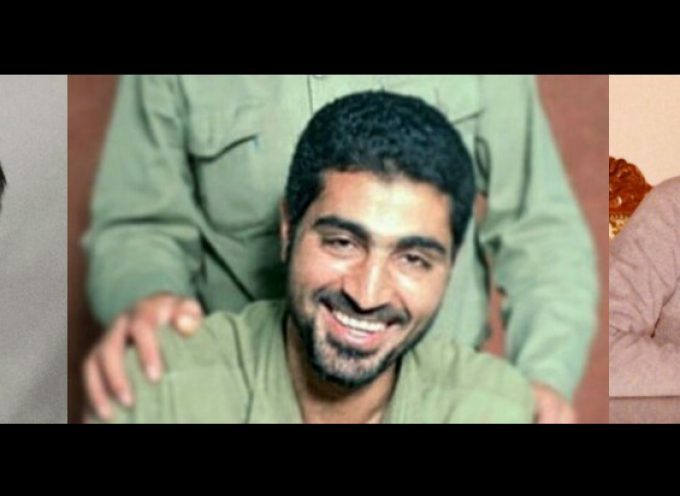 In an interview with Slate magazine in June 2006, PJAK spokesman Ihsan Warya stated that he “nevertheless points out that PJAK really does wish it were an agent of the United States, and that [PJAK is] disappointed that Washington hasn’t made contact.” The Slate article continues stating that the PJAK wishes to be supported by and work with the United States in overthrowing the government of Iran in a similar way to the US eventually cooperated with Kurdish organisations in Iraq in overthrowing the government of Iraq. Surely by now it is no secret that Kurdish chieftains and officials love to be the staunch vassals of Washington and Tel Aviv. The KRG has even been so generous to offer its territory as a base for Mossad terrorists to launch operations inside Iran. According to several sources, the Mossad operates in the KRG to launch covert operations inside Iran and acquire intelligence on Iran’s nuclear program. “Israeli drones are said to be operating against Iran from bases inside the KRG,” wrote Patrick Seale, a British expert on the Middle East. The London-based Sunday Times reported that, according to “Western intelligence sources,” during early 2012 Israeli commandos and special forces members carried out missions in Iran that were launched from the KRG. The Zionist terrorists, dressed in Iranian military uniforms, entered Iran in modified Black Hawk helicopters and travelled to Parchin, the site of an Iranian military complex just 30 kilometres southeast of Tehran, and Fordow, an Iranian military base with an underground uranium enrichment facility. The report claims that these forces utilized advanced technology to monitor radioactivity levels and record explosive tests carried out at the military facilities. Whether this report is true or part of a psychological war, I guess we’ll never know. In addition to all of this, Arab separatism is on the rise in the western Khuzestan province where a large Arab minority reside. The 2018 Ahvaz Military Parade terrorist attack where 29 people were killed was evidence of a recent surge in Arab separatist activities. The Islamic Republic suspects that both Saudi Arabia and the Persian Gulf states offer political and financial support to Arab separatist groups and personalities operating in the West, who in turn funnel the cash to militant networks inside Iran. Suspicions that regional rivals had a hand in the terror attack was intensified by pathetic comments made by Abdul Khaliq Abdullah, a former advisor to the Abu Dhabi Crown Prince, that the Ahvaz attack did not constitute an act of terrorism since it was aimed at a military target. The significance of this inflammatory remark lies in Saudi Crown prince Mohammad Bin Salman’s statement that Saudi Arabia would take the battle “inside” Iran. Since the Saudi monarchy themselves are Zionist agents, we should again look for Washington and Tel Aviv’s hand in this latest campaign targeting yet another minority group in Iran. The Islamic Republic is under attack from all sides with Washington and Tel Aviv specifically targeting ethnic minorities living in the border areas in the eastern and western regions of Iran. As Washington and Tel Aviv have admitted in the past, a full scale invasion of Iran is highly unlikely due to the size of the country and the large popular support the Islamic Republic enjoys, instead the Zionist Empire has deemed insurgency and fomenting a civil war to be the best way to weaken their adversaries, just like they did in Syria and Iraq. I expect these campaigns to escalate as the Islamic Republic gains more influence across the region and the Zionist Empire growing more and more frustrated each day. The mass media has been widely covering the details of the disastrous humanitarian situation in Rukban refugee camp over recent months. By the way, the crisis in other sites deserves more considerable attention. Al-Hol refugee camp located in Al-Hasakah province and run by the Syria Democratic Forces is one of them. Every single day from 10 to 20 people, mainly women and children die due to the lack of drinking water, essential goods, and medicine. Only for the past two months, 250 children passed away in the camp. According to estimates, now more than 50,000 refugees reside there, although initially it was designed only for 25,000. It turned out that the catastrophe of Al-Hol residents is caused by the illegal actions of the U.S. authorities. Their homes and shelters in the northern and north-eastern part of Syria have been destroyed by the indiscriminate airstrikes of the U.S.-led international coalition. Apart from Rukban camp situated in the 55-kilometre zone near Al-Tanf, the American servicemen organized ’humanitarian assistance’ for the people in Al-Hol. However, it is really hard to believe in support of Washington to the locals. On the way to supply their bases in other parts of the country, American trucks allegedly deliver humanitarian aid to the camp. Meanwhile, under the guise of good intentions, weapons and military equipment for Kurdish militias flow from Iraq to Syria. Should Anyone Believe U.S. State Department Promises on Syria? 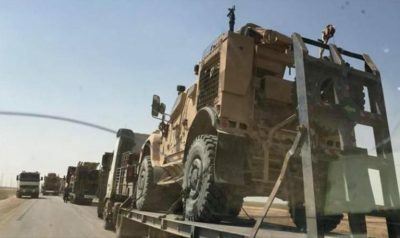 Since March 1, 2019, the United States has already delivered from Iraq six convoys with 100 Humvee jeeps, 150 pickup trucks equipped with machineguns, as well as small arms and grenade launchers, the local activists report. In fact, Al-Hol residence received no humanitarian aid, and only a small part of the armament fell into the hands of the American soldiers deployed at Sarrin and Harab Isk military bases in the area of Manbij. Three-quarters of the shipment was delivered to the Kurdish militias in Al-Hol camp and then moved to the settlements of Tell Abyad and Ras Al Ain at the border with Turkey. According to the Middle East experts, these towns could become the starting point of the Turkish army and its proxies’ large-scale military operation against Kurds in northern Syria. Amid deterioration of the U.S.-Turkish relations, Washington continues to support SDF, that in response keep holding the oil fields in favour of the United States. The Turkish side repeatedly expressed concern over the long-term and stable relations between the Americans and Kurds. By the way, the Pentagon has announced the allocation of $ 300 million for the train-and-equip program for the Syrian Democratic Forces. Moreover, half of the budget will be spent on the purchase of military transport. It was also reported that the number of SDF is planned to be doubled – from 61,000 to 121,000 fighters. Exactly after this announcement, first messages on the forced recruitment in north-eastern Syria appeared. Based on these data, the version of the secret weapons supply by the U.S. to SDF seems quite reasonable. This armament will be enough to disrupt Ankara offensive and create chaos in the north of Syria. Unfortunately, it is happening under the guise of humanitarian aid delivery to the people in need locked in Al-Hol refugee camp. Kurdish fighters have been used by the US to ostensibly defeat the remaining Islamic State holdouts in eastern Syria. But what is emerging is not a final defeat of the terrorists, more a redeployment to further destabilize the Arab country. Potentially, the Kurds could wind up not with the regional autonomy they desire, but as part of a rebranded American dirty war army whose ranks include the very terrorist the Kurdish militias have been successfully battling against. President Donald Trump has been lately crowing about how US-backed Kurdish forces have wiped out the IS self-proclaimed caliphate around Baghouz in eastern Syria. “They’re losers… they’re gone tonight,” he boasted about supposedly vanquishing the jihadists. However, things are not that clear-cut. Syria’s envoy to the United Nations Bashar al Jaafari dismissed Trump’s victory celebrations as a “bluff”. He said that IS was not defeated in areas under US control, but rather were being shunted off to various camps for retraining. There are credible reports that thousands of jihadists who surrendered or were captured in the fighting around Baghouz have since been relocated by US forces to its military base at al Tanf near the border with Iraq and Jordan, as well as to nearby refugee camps such as Rukban, where some 40,000 detainees are held. Suspiciously, the Americans are refusing international access to these camps, even for UN humanitarian relief agencies. As Russia’s Foreign Minister Sergei Lavrov pointed out recently, the detention centers are being used by the Americans as a pretext for illegally occupying Syrian territory. We can also add the purpose of clandestine military recruitment for US proxies. Despite Trump’s announcement four months ago that US military was pulling out of Syria, there seems no sign that his plan is being implemented. That’s why Moscow reacted angrily to Washington’s demand for Russian troops to leave Venezuela. The Kremlin responded testily that the US should first deliver on its promise to withdraw from Syria, where its forces are illegally present unlike Russian personnel in Venezuela under bilateral agreement. In Syria’s supposedly post-war scenario what seems to be happening is the US seeking to find a way to reconfigure its destabilizing intervention in the Arab country. The past eight years of US-sponsored covert war has failed in its objective for regime change against President Bashar al Assad, who is allied with Russia and Iran. What the US is aiming to do now is keep military footprints in the country, effectively annexing swathes of territory, especially in the oil and gas-rich eastern region around the Euphrates River. That accounts for why supposedly defeated enemy terrorists are being retrained by US special forces at al Tanf. They are reportedly being tasked with capturing the oil and gas fields in Deir ez-Zor province as well as production infrastructure in Homs province. This puts the Kurdish forces in an invidious position. There is little doubting the courage and fighting ability of the Kurdish men and women who make up the Syrian Democratic Forces (SDF) and its spearhead YPG militias. The Kurds have managed to liberate up to 30 per cent of Syria’s territory in the northeast and east from the IS jihadists. They have dealt a decisive blow to the residual caliphate at Baghouz. American air power augmented the Kurds in their offensive. But what the US is maneuvering to do is to combine the defeated jihadists with the Kurds in order to push its agenda for breaking up Syria and controlling its eastern mineral-rich resources. The Special Monitoring Mission to Syria reports that IS militants captured by the SDF are being redeployed by the Americans for seizing oil and gas production facilities. Still another crucial objective for Washington is to control the Deir ez-Zor east-west corridor from Iraq to Damascus so as to contain Iranian presence in Syria. This is the context for Trump’s brazen declaration recognizing Israel’s annexation of Syria’s southern Golan Heights. Washington’s game plan is to keep Syria destabilized and fragmented, partly to appease Israel and partly for the US’s own imperial designs for dominance in the region. In this insidious US maneuvering, the Kurds face a potentially treacherous situation. They have been well armed and supported by Washington, but are finding they are being used like a disposable asset. The Kurds may have calculated that accepting Washington’s patronage in recent years was a way to earn political capital for building a future separate independent Kurdish state. What seems to be emerging, however, is that the Americans only intend to exploit the Kurds as a fighting force to do its dirty work of breaking up Syria – in the same way that the Americans have covertly used jihadist terror groups in other parts of Syria. The Kurds have been very effective in routing IS in the latter’s remaining strongholds in eastern Syria. But the result is the Kurds are being used as a recruitment agency for the Americans to redeploy the “defeated” terrorists in its ongoing covert war against the Syrian state. There are signs, though, that the Kurds are well aware of the treacherous danger in dealing with Washington. When Trump made is troop withdrawal announcement, there were palpable concerns among the Kurds about being betrayed to the mercy of Turkey. Turkish President Recep Tayyip Erdogan has repeatedly threatened to send his military forces into Syria to crush the SDF and YPG militia whom Ankara views as “terrorist” affiliates of its own separatist Kurdish movement, the PKK. It’s not clear if the US will implement a withdrawal of its estimated 2,000 troops in Syria. There are indications it won’t happen, despite Trump’s claims. Nevertheless, the surprise announcement was enough to undermine Kurdish confidence its patron. With the result that Kurdish leaders have begun reaching out to the Assad government in Damascus in the hope of dialogue producing a future federal arrangement. The Kurds have reportedly requested Russia to mediate with the Syrian government. Kurdish forces have not heretofore been at war with the Syrian Arab Army. They share the same common enemy of IS and assorted jihadist terror groups. In the past, President Assad has rebuffed Kurdish aspirations for regional autonomy. But apparently, Damascus has shifted to be more open on forming a new federal constitution for Syria in which the Kurds would gain important regional independence – in a way analogous to the Kurdish Regional Government in northern Iraq. In this fateful political triangle that the Syrian Kurds find themselves, they would be advised to throw their lot in with the Damascus government. If a mutual pact could be established that would bring the two major chunks of Syria’s territory back into territorial integrity. If, on other hand, the Kurds accede to Washington’s nefarious agenda, they run the risk of losing independence and being eviscerated from exploitation in endless dirty-war machinations by the Americans. An ominous sign is that after bravely fighting to rout IS, the Kurdish militia are being set up to form a devil’s bargain with the same terrorists – to satisfy Washington’s geopolitical interests. The Kurds would do well to remember a cynical maxim in Washington, whereby the US “does not have allies, only interests”. Monday’s piece about the situation in Syria included a judgment that now seems to be wrong. The Trump administration planned to replace U.S. troops in northeast Syria with those of various allies. James Jeffrey, the neoconservative U.S. special envoy to the anti-ISIS coalition, thought up an elaborate scheme to ‘protect the Kurds’ and to secure the borders to Turkey with the help of allied troops. A week later the Wall Street Journal reported that the crazy scheme failed to win support from any of the relevant parties. The Kurds rejected it and Britain and France declined to send troops on a never ending mission between the waring Turkish and Kurdish sides. The assertions that the scheme failed may have been premature. There are signs that it is still been worked on. U.S. Secretary of State Mike Pompeo on Wednesday reassured allies that the withdrawal of U.S. troops from Syria was not “the end of America’s fight” and called on them to recommit to permanently defeating Islamic State in Syria and Iraq. “Our mission is unwavering, but we need your help to accomplish it, just as we’ve had over the past months and years,” Pompeo said, “To that end, we ask that our coalition partners seriously and rapidly consider requests that will enable our efforts to continue.“Those requests are likely to come very soon,” he added, without elaborating. Pompeo also wants (vid) the coalition to “removal of all Iranian led forces from Syria.” He also asked for hundreds of millions fro Iraq. How come these politicians never learned physics? Northeast Syria is not closed off from the atmosphere or the surrounding lands. That makes a vacuum there impossible. Term: Vacuum. ‘The US will be leaving a vacuum when it pulls troops out’. Meaning: Restoration of law and order. Once the US stops blocking the way the Syrian government will return to the currently US-controlled territory and will keep ISIS down, as it is doing in the rest of Syria, and Turkey out. The tone of Maas’ remarks seems intended to prepare the German public for a military mission in northeast Syria. As Turkey prepared for a summit on Syria with Russia and Iran, Turkish President Recep Tayyip Erdogan said his country wanted sole control over a proposed buffer zone in northern Syria, rejecting a plan by the United States for a multinational force to police the area. Nearly all population centers near the Turkish borders in northeast Syria have a Kurdish majority. The Kurds certainly do not trust Turkey. Erdogan wants to push the Kurds away from the Turkish border. He would then ‘resettle’ the Syrian refugees in Turkey in those areas. Most of the refugees are relatives of Turkish supported ‘rebels’ and aligned with Erdogan’s Islamist ideology. source – biggerThe U.S. idea of bringing in some other foreign troops to replace the U.S. contingent is unfortunately not dead. Pompeo announces new “requests”, Maas is playing up a “vacuum” and Erdogan feels the need to emphasize Turkish opposition to it. The people benefiting from such a deployment would by the PKK/YPK Kurds that helped to defeat ISIS. But they are themselves an internationally recognized terrorist organization that should not be supported. The other party to benefit is Israel which historically uses the Kurds to undermine the sovereignty of Arab countries. A foreign troop deployment in northeast Syria would help Israel’s aim to keep Damascus weak. The J. Jeffrey plan is a mess and should not have been given any thought at all. It is worrying that discussions about it still continue. أثار قرار الرئيس الأميركي دونالد ترامب بالانسحاب من سورية بعد إعلانه انتصار الولايات المتحدة على الدولة الإسلامية في بلاد العراق والشام سلسلة من التعليقات تراوحت بين النقد اللاذع والتشكيك المدروس والترحيب الصريح. فالنخب الأميركية منقسمة في كافة الملفّات المطروحة بما فيها العدوان الكوني على سورية التي قادته الولايات المتحدة بمؤازرة بلاد الحرمين وقطر ودولة الإمارات العربية، وطبعاً بترحيب الكيان الصهيوني. وفي سياق الانقسام بين النخب الأميركية هناك ثلاثة محاور تغطّي تلك الانقسامات. المحور الأول يقوده المحافظون الجدد، والمتدخلّون الليبراليون الذين شنّوا العدوان على سورية منذ الولاية الأولى للرئيس السابق باراك أوباما بقيادة وزيرة الخارجية آنذاك هيلاري كلنتون، والإعلام المهيمن الذي يسيطر عليه بشكل عام ومطبق اللوبي الصهيوني. هذا المحور يندّد بشدّة بالانسحاب غير المدروس و«المتهور الذي سيخلف فراغاً في شرق سورية يستفيد منه الرئيس السوري بشّار الأسد!!! وكل من الجمهورية الإسلامية في إيران وروسيا! وبطبيعة الحال هناك اعتراض على القرار الرئاسي من اللوبي الصهيوني ورموزه داخل الكونغرس الأميركي. فينتقد الشيخ المتشدّد عن ولاية فلوريدا مارك روبيو المرشح للحزب الجمهوري الذي هزمه دونالد ترامب وليندسي غراهام شريك الشيخ الراحل جون ماكين قرار الرئيس الأميركي. غير أن رأيهما لا يمثّل بالضرورة رأي الحزب الجمهوري وبالتالي قد يشكّل فقط عنصر إزعاج لترامب دون إمكانية في الظرف الراهن للضغط عليه لتغيير قراره بالانسحاب. المحور الثاني يشكّك بجدّية القرار وأهميته وتقوده مجموعة من المعلّقين كباتريك لورنس مراسل في صحيفة الإنترناشيونال هيرالد تريبون والكاتب في الشؤون السياسة الخارجية الأميركية. يعتبر لورنس أن القرار غير جدّي خاصة أن العدد المرتقب للقوّات الأميركية للانسحاب من سورية ليس 2000 بل هناك عديد يتراوح بين 4000 و7000 جندي و«مقاول أي مرتزقة من الشركات الأمنية الأميركية. إضافة إلى ذلك، يشير لورنس إلى التحصينات التي أقامتها القوّات الأميركية في مدينة الرقّة تحت السيطرة الاسمية لقوّات سورية الديمقراطية قسد والتي تدلّ على رغبة التخندق في سورية لفترة طويلة كما صرّح وما زال المسؤول الأميركي عن الملفّ السوري جيمس جيفري الذي فوجئ بالمناسبة بقرار الرئيس الأميركي . فقد استبعد المسؤول الأميركي أي انسحاب طالما لم تنسحب الجمهورية الإسلامية في إيران وطالما الرئيس الأسد لم يرحل! فهناك تناقض واضح بين قرار الرئيس الأميركي وبعض المسؤولين. هناك طيف آخر من المشكّكين الذين يعتبرون القرار الرئاسي مزاجياً وقد يغيّر رأيه بعد موجة الاحتجاجات التي بدأت على ذلك القرار من قبل قوى وازنة في الكونغرس الأميركي والإعلام المهيمن والحلفاء كالكيان الصهيوني. إضافة إلى كل ذلك فهناك التباس في مدى الفترة التي ستنسحب القوّات الأميركية. فالمدّة تتراوح بين شهر وثلاثة أشهر والله أعلم! المحور الثالث يدعم قرار ترامب بدون تحفّظ ويرحّب به. ويضمّ ذلك المحور مجموعة من الضباط والدبلوماسيين السابقين كروبرت فورد السفير الأميركي في سورية وعدد من الشيوخ والمحلّلين الجمهوريين كباتريك بيوكانان وعدد من ضباّط الاستخبارات كراي مكغوفرن وفيليب جيرالدي على سيبل المثال، ومواقع إلكترونية معادية للحرب كموقع انتي وار. كوم و«قمر الاباما . كما أن خبراء مرموقين كستيفن والط الذي شاركه جون ميرشهايمر في كتابة الكتاب عن دور اللوبي الصهيوني في أميركا يعتبر في مقال نشره على موقع مجلّة فورين بوليسي المحافظة والمملوكة من روبرت مردوك أن لا جدوى في البقاء في سورية. لذلك لا يمكن القول إن هناك إجماعاً على التنديد بقرار ترامب وخلافاً لما يُشاع فإن وزير الدفاع الأميركي الذي استقال بعد قرار ترامب لا يمثّل كل البنتاغون. في رأينا نعتقد أن القرار الرئاسي جدّي ولم يكن مفاجئاً، كما يعتقد الكثيرون. فهو أوضح ذلك خلال حملته الانتخابية ولم يتراجع عن رأيه خلال السنتين الماضيتين من ولايته. كما أن ذلك القرار ليس جديداً ويعكس رغبة المؤسسة الحاكمة بالخروج من المستنقع في المشرق ووسط آسيا والتركيز على شرق آسيا، وذلك منذ أكثر من عشر سنوات. نتذكّر هنا لجنة باكير هاملتون عام 2006 والتي شكّلت توافقاً جمهورياً وديمقراطياً مدعومة من فعّاليات سياسية وفكرية أميركية بضرورة التوقّف عن التورّط المباشر في المنطقة بعد كارثة الاحتلال الأميركي للعراق من منظور أميركي. كما نذكّر أيضاً قرار الرئيس السابق أوباما الشهير بالتوجّه نحو آسيا بعد الانسحاب من العراق والمحاولة للانسحاب من أفغانستان. وتفيد المعلومات الأخيرة أن الرئيس ترامب يبحث جدّياً بتخفيض عدد القوّات في أفغانستان، إن لم يكن الانسحاب مع بقاء بعض القواعد العسكرية، وذلك بعد تصريح قائد القوّات الأميركية في أفغانستان بأنهم ليسوا في موقع الانتصار. ويشكّل ذلك التصريح تحوّلاً نحو الواقعية بأن الانتصار في أفغانستان وهم. من هنا نفهم مغزى التفاوض مع حركة الطالبان في كل من دولة الإمارات وسلطنة عمان. تمرّد الرئيس الأميركي على مستشاريه في وزارة الدفاع والخارجية مايك بومبيو والأمن القومي جون بولتون دليل على أنه يملك أوراقاً سياسية داخلية، أي داخل المؤسسة الحاكمة، تسمح له بذلك التمرّد . لقد لفتت نظرنا تسمية الرئيس الأميركي لرئيس هيئة الأركان المشتركة الجنرال مارك ميلي قائد القوّات البريّة منذ بضعة أيام وذلك قبل نهاية ولاية رئيس هيئة الأركان الحالي جوزيف دانفورد، أي قبل الخريف عام 2019، الذي أبدى اعتراضه على العديد من قرارات ترامب العسكرية. وهناك تقدير أن دانفورد سيرحل قبل نهاية ولايته. أما رئيس هيئة الأركان المرتقب مارك ميلي فهو مقرّب من ترامب وقريب من أفكار الرئيس الأميركي. من جهة أخرى يبدو أن داخل القيادة العسكرية في البنتاغون انقسام بين القيادة الوسطى المسؤولة عن شرق الأوسط وقيادة أوروبا المسؤولة عن أوروبا والكيان الصهيوني. فالأخيرة تدعم الانسحاب من سورية حيث الجدوى من البقاء غير واضحة على الأقل بينما القيادة الوسطى تعارض ذلك. إضافة إلى ذلك أجرت صحيفة ميليتري تايمز استطلاعاً منذ فترة أظهرت أن حوالي 55 بالمئة من الضبّاط الذين خدموا في المناطق الساخنة كأفغانستان والعراق على سبيل المثال خلال سبع عشرة سنة الماضية لا يحبّذون مهمة بناء أمّة كما يريده المحافظون الجدد أو المتدخّلون الليبراليون. بمعنى آخر أن الانسحاب من سورية يحظى بتأييد أولئك الضبّاط. أضف إلى كل ذلك فإن كلفة التورّط العسكري الأميركي في المنطقة منذ 2001 تجاوز عتبة ستة تريليونات دولار دون مردود سياسي يذكر وفقاً لمات بربل الكاتب في مجلّة اميريكان كونسرفاتيف أي الأميركي المحافظ وهي من المجلاّت المرموقة المحافظة في الولايات المتحدة الخارجة عن نفوذ اللوبي الصهيوني. بعض المعلومات المتداولة في بعض المواقع الإلكترونية تفيد أن وراء ترشيح دونالد ترامب للرئاسة عدد من القيادات العسكرية التي لا تشاطر رأي منافسته هيلاري كلنتون ولا تريد وجودها في البيت الأبيض. هذا يعني أن ترامب كان يحظى منذ البداية بدعم من بعض القيادات العسكرية الأميركية المتقاعدة أو التي لم تكن في الصفّ الأوّل. هناك توقّع أنه سيتم تبديل القيادات العسكرية التي تقدّمت في عهد الرئيس بوش الإبن والرئيس أوباما بقيادات عسكرية تفكّر بشكل مختلف عن القيادات الحالية والتي تتفهّم الوضع القائم لميزان القوّة في العالم، ولكن قبل أي شيء ليست مُستوعَبة حتى الآن من المجمّع العسكري الصناعي الذي يقود التوجّهات العسكرية في الولايات المتحدة. الأشهر المقبلة ستظهر ما إذا كانت هذه التوقّعات صحيحة أم مبالغاً بها إذا ما استطاع الرئيس الأميركي تجاوز العاصفة التي أثارها قراره بالانسحاب. وفي رأينا الاحتمال جدّي بتجاوزه للعاصفة، فإن الرئيس ترامب قد يكون بدأ هجومه المضاد على الدولة العميقة التي عرقلت العديد من توجّهاته، وذلك بدعم من قاعدة شعبية لم تتأثر بكل الحملات الدعائية وبدعم بعض الجهات داخل المؤسسة الحاكمة. أحد مؤشّرات ذلك الهجوم يكمن في شخصية مَن سيخلف جون ماتيس في وزارة الدفاع. فمن الواضح أن وزير الدفاع المقبل سيكون منسجماً مع تطلّعات ترامب وليس مع أجندات أخرى. هذا قد يعني في المدى المتوسّط أن السياسة الخارجية الأميركية ستأخذ منعطفاً مختلفاً عن السابق وأن الاهتمام الأميركي سيكون تجاه الداخل الأميركي. هذا لا يعني انعزالية جديدة بل اعترافاً بموازين قوّة لم تعد لصالح الولايات المتحدة وأن على الأخيرة إعادة بناء نفسها لتصبح أميركا مرّة أخرى عظيمة . في ميزان الربح والخسارة يبدو أن الرئيس الأميركي انتصر على مستشاريه من المحافظين الجدد، وعلى اللوبي الصهيوني عبر تجاوزه لرئيس مجلس وزراء الكيان. فالكيان الصهيوني ليس له القوامة على المصالح الأميركية المباشرة كما يعتقد العديد من المحلّلين والمراقبين. إعلام الكيان كان واضحاً بإعلان القرار صفعة لبنيامين نتنياهو. الرابح في المشرق العربي هو أولاّ الدولة السورية وشعبها وقيادتها وحلفاؤها في محور المقاومة الذين صمدوا في وجه العدوان الكوني، بل عدّلوا في ميزان القوّة الإقليمي والدولي وأجبروا الرئيس الأميركي على التراجع الاستراتيجي. أما الرابح الثاني فهو الرئيس التركي اردوغان الذي هزم سياسياً الطموحات غير الواقعية للأشقاء الأكراد. نأمل أن يأخذ الأشقاء الأكراد العبرة لعدم جدوى الاتكال على الولايات المتحدة، علماً أن درس إقليم كردستان في العراق لم يكن بعيداً في الزمن ولكن للأسف لم يعتبروا. والرابح الثالث على الصعيد الدولي فهو روسيا التي أصبحت الدولة التي لا يمكن تجاوزها في الإقليم. أما الخاسر الأكبر فهو الكيان الصهيوني الذي سيواجه ارتدادات القرار الأميركي في الداخل وفي الوطن العربي. فالمجاهرة بالورقة الخليجية التطبيعية قد لا تلقى تجاوباً رسمياً عربياً بعد التراجع الأميركي. حتى الآن، المجاهرة بالتطبيع كانت من الجهة الصهيونية دون صدى رسمي من قبل حكومة الرياض أو أبو ظبي رغم وجود دلائل مادية في الدولتين تغذّي المقولة الصهيونية. فزيارة الرئيس السوداني إلى مطار دمشق والإعلان أن إضعاف سورية هو إضعاف لجبهة المقاومة ليس بالتصريح العابر بغض النظر عن التفسيرات التي أعطيت له. لسنا متأكدين أن مسيرة التطبيع ستستمر بالوتيرة نفسها التي شهدناها في الأشهر الماضية. بالمناسبة، تفيد بعض المعلومات أن الهجوم على ولي العهد في بلاد الحرمين في الكونغرس الأميركي والاعلام المهيمن لا يعود لمسؤوليته بجريمة مقتل الصحافي الخاشقجي بل لاستقلاليته في قراراته. والدليل على ذلك هو اتفاق حكومة الرياض مع روسيا على تخفيض الإنتاج النفطي للحفاظ أو لرفع سعر برميل النفط خلافاً لما كان يحثّ عليه الرئيس الأميركي. فالاستقلالية في القرارات النفطية من الممنوعات عند مراكز القرار في الولايات المتحدة. وبغضّ النظر عن دقّة تلك المعلومات فإن النتيجة ستنعكس على محاولات إنهاء الخلافات العربية وخاصة مع سورية. التضامن العربي أصبح ضرورة إقليمية ودولية ملحّة للتوازن مع صعود الدور التركي إذا ما تمّ إضعاف دور بلاد الحرمين. فمحور المقاومة وروسيا لا يحبّذان المساس ببلاد الحرمين إذا ما اتجهت السياسة الأميركية إلى ذبح البقرة الحلوب . فالعامل الأميركي في التوازن والتأثير لم يعد فاعلاً بالفعّالية نفسها، كما كان عليه قبل إعلان القرار بالانسحاب.